At the end of January LJAG invited all the developers who we know are planning to build new homes in the area over the next few years. 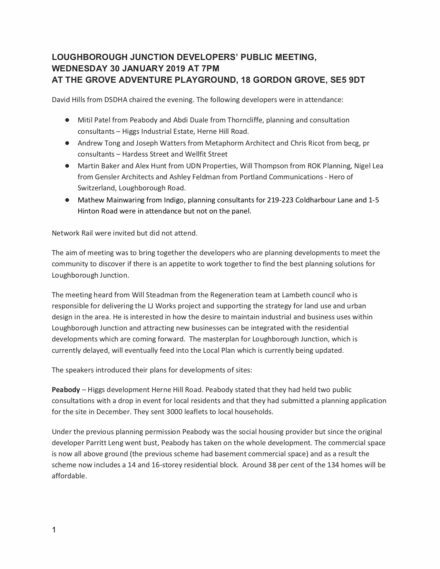 The aim of the meeting was to get some joined up thinking from developers who are in the process of shaping the future of Loughborough Junction and to find a way for the community to become part of the process. The meeting was chaired by David Hills from architects DSDHA, who worked on the Loughborough Junction Plan. You can read the minutes of this meeting here.